Fox’s Dinosaur Time Travel Family Adventure Hour, also known as Terra Nova is cancelled. Yay! Though as an animal lover, I suppose I should be a little upset. After all, what are all those domestic house cats that the series employed as writers going to do for their milk money? With Terra Nova going and Community coming back, March is shaping up to be a shiny month. I don’t see what is generating all this pessimism. Televised space opera/science fiction has always been an expensive investment, perhaps more so during the golden age of the mid-90s to the mid 2000s than today. While Terra Nova was 2011’s most expensive show on television this year, I’ll eat my hat if its special effects cost more per capita than they did for something like Babylon 5 – a series that had to contend with computer graphics when they were still in their infancy. Let us instead account for the current glut in quality science fiction as an experiment in supply and demand. When the supply of any given commodity drops, in this case strong genre programming, the demand increases. This timeline for demand, however, does not necessarily follow the same path as the drop in supply. The market, as represented by the world’s sci-fi junkies, needs to reach a critical mass in demand before supply will start to increase. To put it another way, we need to miss the hell out of sci-fi before it will come back. We need to get emo about this in a way that makes Jared Leto look well adjusted. Certainly that’s a fair point. To counter that I would draw upon Alyssa Rosenberg’s Terra Nova piece over at Think Progress. Therein, Rosenberg illustrates numerous examples of SF movies and television series that have drawn on visual aesthetics, language, and manners to cheaply create an appropriate distance between the story telling and the reality of our world. I would also add the BBC’s Blake’s 7 to her list of televised sci-fi that worked without a giant budget. B7’s special effects budget stood at about 100£ per episode during its 52 episode run from 1978-1981. How then did it pull off a space opera about a group of rebels attempting to bring down the despotic Terran Federation? From the outset it was literary. The Federation didn’t need fancy looking starships beyond their barely animated canopy drawings a la Monty Python when its Orwellian conceit and jack booted soldiers solid the concept of what the Federation stood for. All series creator Terry Nation had to do then was round up a bunch of unemployed classically trained actors, plop them into the middle of his world, and watch them chew on the scenery. Writing and acting, sometimes that is all a good series needs to survive. If Terra Nova had either of those things, then I would be lamenting its loss. 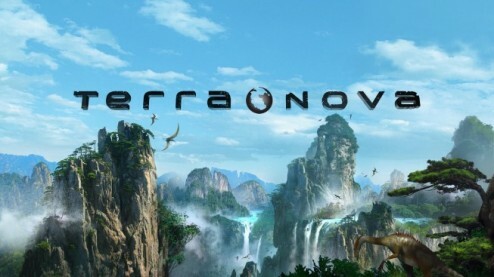 Granted, the series had the highest ratings of anything in 2011’s cancellation pile; Terra Nova also received some of the worst critical reviews of 2011. I know it is hard to see a sci-fi series go, but to allege that this is the end of televised genre fiction is to drastically oversell the importance of Steven Spielberg’s first among losers dino drama.